The launch area at Mayer State Park just a few miles West of The Dalles Or is another of our go-to Columbia River launches. The Salisbury Slough offers a nice although smaller protected area from the current and winds of the Columbia and is a great place for the kids to practice or for the adults to warm up before hitting the main River. 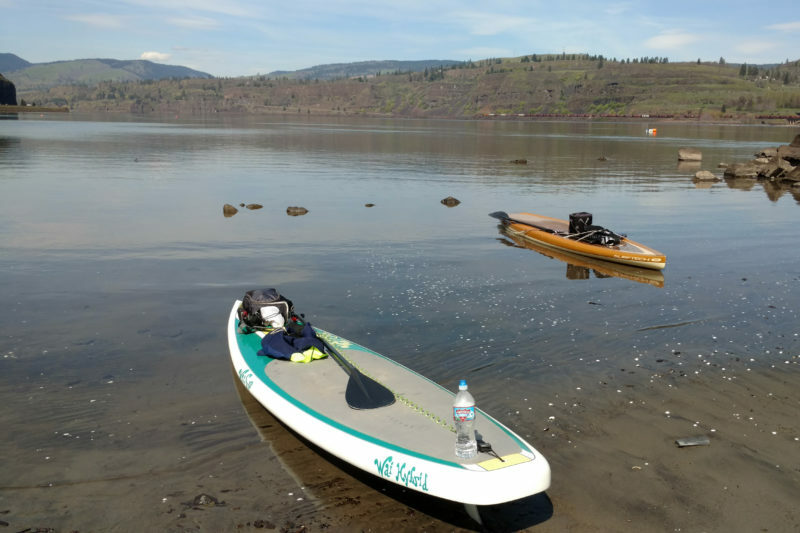 Head’s up, once you enter the current and winds of the Columbia River, it’s a non-stop aggressive paddle going against the wind! We’ve never had parking issues at this launch, even in the busy season the worst case scenario we’ve seen we had to park a lil further than we like from the actual launch but still got our boards in the water no problem. Be very careful about ranging out to far on the River as the paddle back can be brutal and wind conditions in the Gorge can change in minutes. 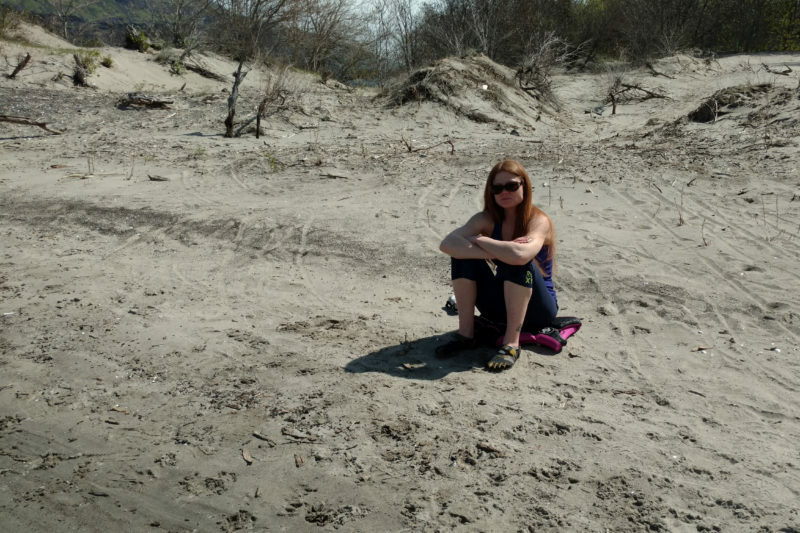 If you are the adventurous & athletic type and are confident in your SUP skills and endurance, take a left heading downriver (West) when you leave the launch and once around the corner there is a nice quiet little sand beach. On a perfectly calm day, folks are known to cross the river to Washington and back from this launch, but it’s a lot further than it looks! Please, take the Columbia River seriously for what it is! NOTE: Mayer State Park is an access to the Columbia River, which left us obligated to give this a 90% Difficulty Level rating. However, the protected Salisbury Slough is a great place for beginner level paddler’s to practice their skills.